We haven’t done W&M for a few months. I assume with the weekly football Picks of Profundity that The Manoverse has its fill of sports and would rather I focus on other matters. However, I have a few things I need to get off my chest and so I shall. Stay tuned though, as there are a few cool things on the horizon, including an ode to old friends Marty McFly & Doc Brown, a jumpstart to Literary Madness, the long awaited journey thru The Bible, ranking Batman, Sherlock Holmes, & Andy Griffith, and some Halloween & Christmas stuff. Enjoy. Ohio St./Michigan St. The two teams meet on November 21st in Columbus. I suppose it is entirely possible that both could sneak into the playoff…or neither. The winner of the head-to-head matchup will likely play Iowa or Wisconsin in the Big Ten title game. Alabama/LSU. Same deal. They play in Tuscaloosa on November 7th, with the winner probably meeting Florida or Georgia in the SEC title game. Baylor/TCU. They will do battle on Black Friday (11/27) in Fort Worth. There is no Big 12 title game, so barring a huge upset in another game on their schedule the winner of this one looks like a lock for the playoff. Clemson/Florida St. They’ll go head-to-head on November 7th. The winner will still have a few games remaining plus the ACC title game, but unless there’s an upset along the way this contest could potentially decide a playoff spot. Ready to pounce – Utah, Notre Dame, Stanford, Florida. Utah & Stanford may very well meet in the Pac 12 title game. Notre Dame plays Stanford in a de facto elimination game on November 28th. Florida is looking like they could battle the ‘Bama/LSU winner in the SEC title game. Any unexpected stumbles by the top contenders would open the door for one or more of these four teams…assuming they don’t stumble themselves. I haven’t been watching very much of the baseball playoffs. 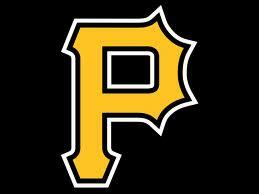 My heart just isn’t in it after another crushing wildcard defeat for my Pittsburgh Pirates. The fact is that 30 fanbases begin spring training with various levels of hope & expectation. Knowledgeable fans generally have an inkling as to whether or not their team may be a contender, but even then optimism reigns. At the All-Star Break atleast 1/3 of those teams have been left in the dust. By the time the summer winds are growing slightly cooler maybe 15 teams are realistic contenders. As September winds to a close only 10 teams make the playoffs. Only 4 survive into the league championship series. Two do battle in The World Series. One team is left standing as the champion. Ultimately 29 fanbases are dealing with some level of disappointment depending on what the expectations were. Am I upset that the Pirates aren’t going to be World Champions?? Well…yes, but the truth is that I didn’t expect that to happen this year anyway. They just aren’t there yet no matter what anyone says. Their pitching rotation is mediocre outside of alleged ace Gerrit Cole, and I’m not at all sure he is among the Top 50 pitchers in the game at this point. Their batting order…atleast anyone not named McCutchen…doesn’t scare opponents. The potential is there, but they need to stop wasting time, energy, & money on pedestrian pitchers like Charlie Morton & Jeff Locke and second-rate hitters/fielders like Sean Rodriguez & Travis Snider. A youth movement seems to be working for the Cubs…maybe Pittsburgh should give it a whirl. Having said all that, I would have felt a lot better had they won the wildcard game, even if they’d lost the next series. 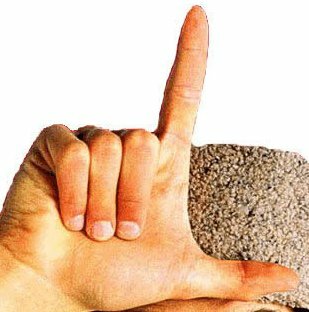 To go thru an entire season and see your team have the second best record in baseball only to have it all rendered meaningless in a single game is a huge kick in the ‘nads. 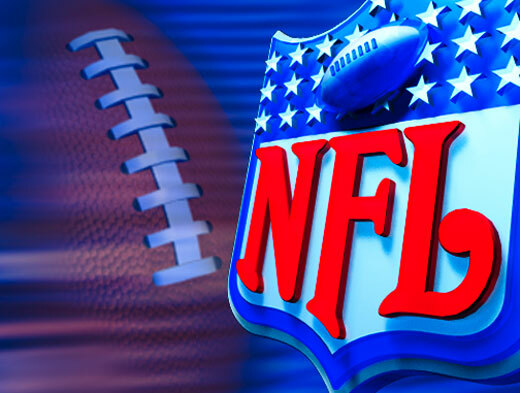 What exactly is a catch in the NFL these days?? Does anyone actually know?? Do the referees and league officials know?? I’m not sure they do. It seems like they kind of make up the rules as they go along. It didn’t used to be so complicated and shouldn’t be now. 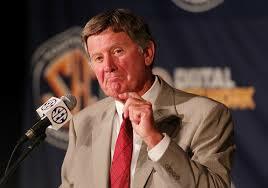 It is undeniable that now former South Carolina football coach Steve Spurrier bailed on his team. Lots of talking heads want to give him a pass given his near legendary status, and I suppose that’s a fair inclination. However, a coach is supposed to be a mentor…a teacher…a leader. There is a right way and a wrong way to do things most of the time, and, no matter what kind of sugar coating some may want to put on it, quitting six games into the season isn’t right. Essentially Spurrier threw a tantrum because his team was 2-4. No intelligent person can argue the point with a straight face, and Spurrier himself looked silly trying to justify the move in his farewell press conference. I have no doubt that some other team will try to talk him out of “retirement” down the line, but that team would be foolish. Steve Spurrier is a quitter. When the going gets tough he gets going. That’s not the kind of man I can respect, and it’s certainly not a guy I want coaching my team. When is ESPN going to fire idiotic NFL Hall-of-Famer Cris Carter?? First he tells a group of NFL rookies that they need to have a “fall guy” that’ll take the rap if/when they commit a crime. And now he has the nerve to say that kickers aren’t football players. Carter was part of a discussion on Mike & Mike about the dramatic ending to the Michigan-Michigan St. game in which the Wolverines’ punter fumbled a snap allowing the Spartans to snag victory from the jaws of defeat. I don’t have a dog in that particular fight, but I do feel bad for the young man. He is allegedly receiving some pretty harsh treatment from overzealous fans on social media. I won’t be too harsh on the fans because I’ve been there and understand how an emotional loss like that can evoke a negative reaction. However, Carter is mirroring his colleague Skip Bayless’ disdain for punters & kickers. They put on a uniform don’t they?? They’re on the sidelines and participate in team activities, right?? Well, then they are football players. Is Carter smoking crack again?? He’s known just as much for being a junkie as he is a wide receiver, yet he is arrogant enough to act superior?? Just shut up. Or in parlance you may be more familiar with…come on man!! My boys Greeny & Golic lower themselves and the quality of their show by allowing Carter to besmirch it with his presence.